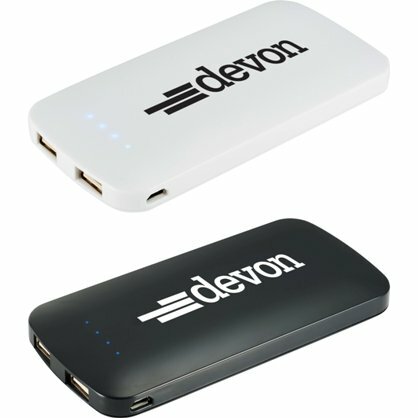 Above top to bottom are the White and Black Zippy Dual Power Bank Case Colors . You may assort the colors in lots of 25 units using the same imprint color throughout the order. 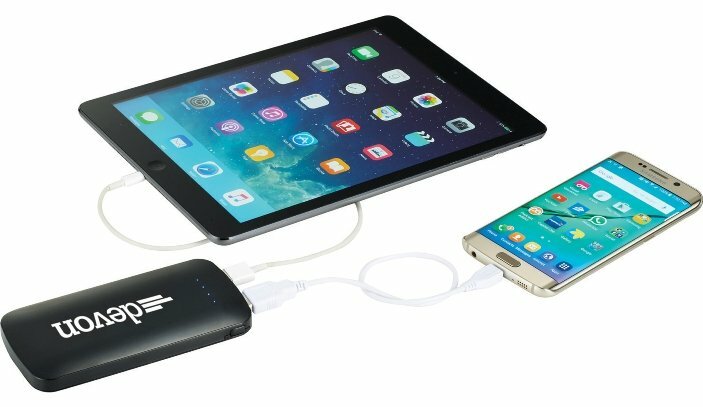 Shown above is the Zippy Dual Slim Power Bank charging a Smartphone and a Tablet simultaneously.